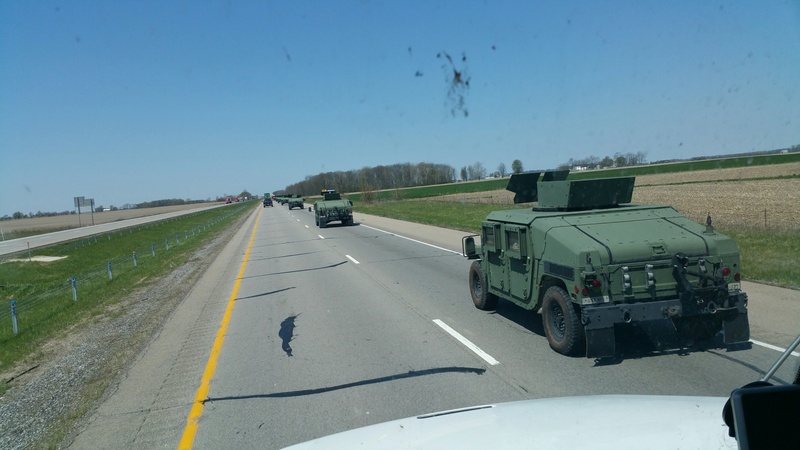 From our northern border with Canada to our completely open southern border with Mexico and from sea to shining sea, we are witnessing a massive 'buildup to and preparation for' a still unnamed event. 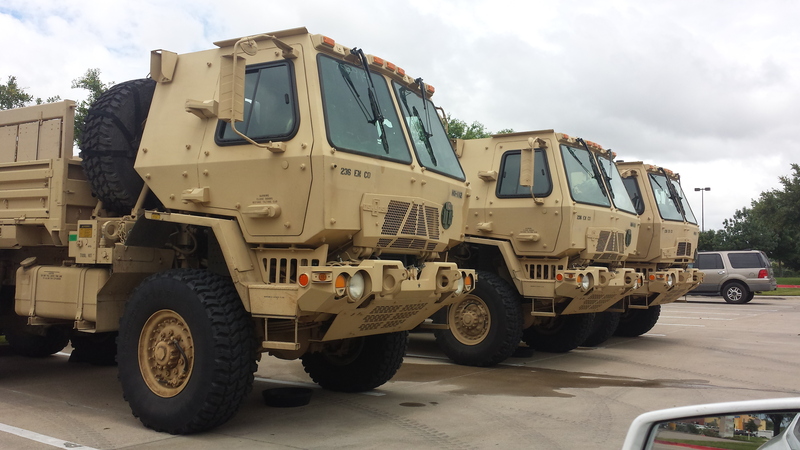 Every day we become more aware of a very strong but still mysterious connection between the US military and Wal Mart stores across the country as another ANP reader who calls himself 'Texas Patriot' emailed us the photograph seen above showing several US military vehicles sitting, hidden, behind a Wal Mart store in Crowley, Texas. 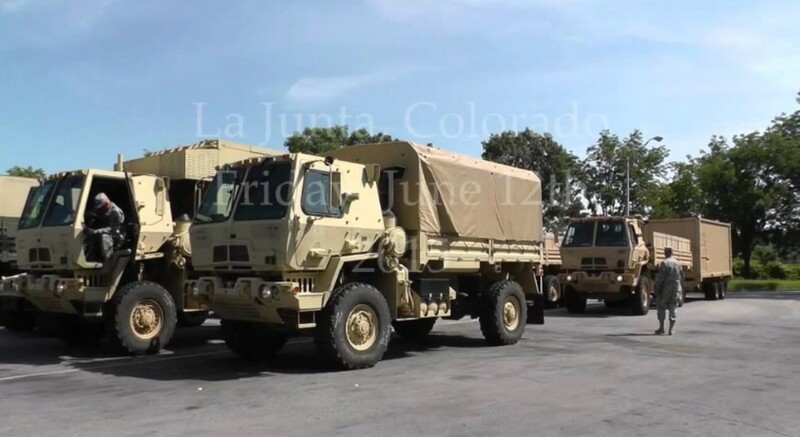 Meanwhile, the excellent 3 video compilation below from YouTube videographer Christina Sarro shows us part of the Raider Focus wargames in Colorado and, coincidentally or not, MORE connections between the military and Wal Mart...and 2 SEPARATE times! Why does the US military have such a strong connection to Wal Mart stores? The fact that they're using them more and more frequently recently as seen in these videos raises many questions with answers unlikely to follow. We also receive a very strong warning from famed hacker Guccifer in the 1st video below that something HORRIBLE is getting ready to happen to America. Guccifer, who previously hacked the Bush family, Hillary Clinton, the Rockefellers and Federal Reserve Board members, joins at the 10:45 mark of this excellent brand new Norton video called "In Search Of The Most Dangerous Town On The Internet" and proceeds to tell us: "Every American open your eyes wide, because something very wrong is going to come to them this year." What does Guccifer know that we don't know? The fact that Guccifer's stock and trade IS the internet and the fact that he's hacked into computer systems owned by the satanic elitists makes us feel that he KNOWS their plans...are they preparing to take down our entire banking system via false flag hack, leaving Americans out of cash and out of time, so that they can simply 'start over again'? The fact that Guccifer used to spend hours daily reading Hillary Clinton's memos before going out to do his gardening helps us understand he likely knows what he speaks of. 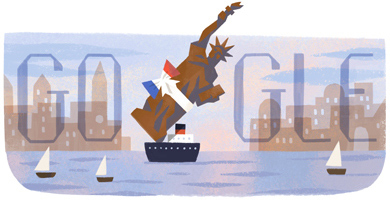 With Google recently putting out doodles such as the one directly above, why do we get a very strong feeling that all of these military exercises all across America are somehow tied to Guccifer's brief warning? 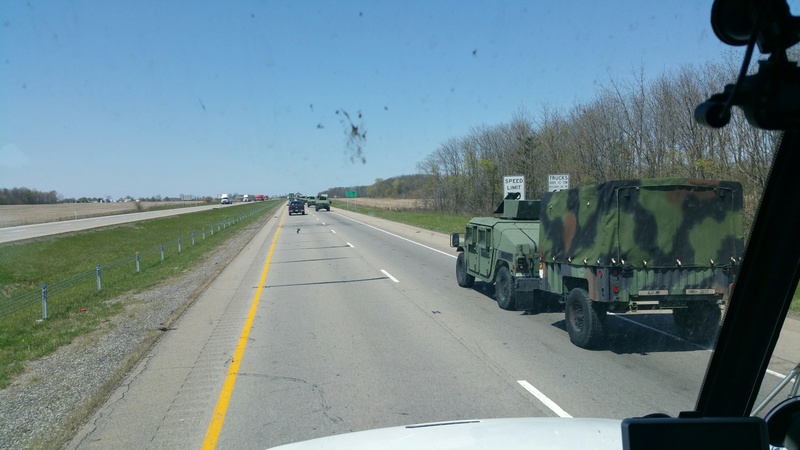 Knowing what we've recently learned, that Jade Helm is an artificial intelligence program, a COMPUTER that will be leading the JH15 'exercises,' only adds to our trepidation over what's coming, especially considering recent warnings from people such as Stephen Hawking and Elon Musk that artificial intelligence could one day lead to the end of humanity with humanity being treated like 'pets' by AI. 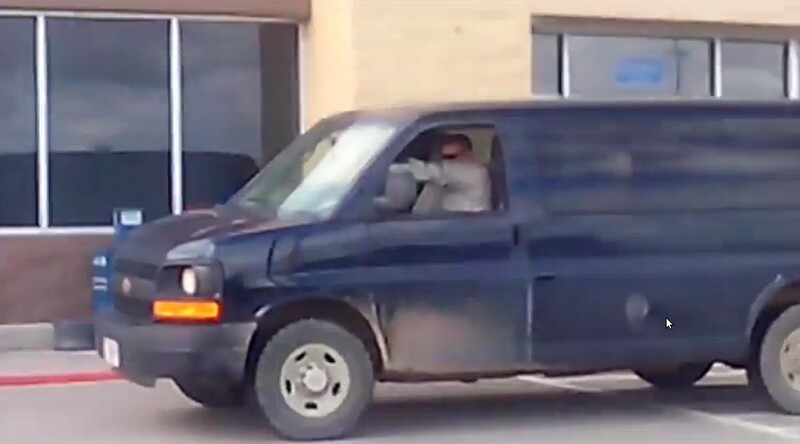 Check out the US Army guy in the blue van after he drops off a boatload of soldiers at the Colorado Wal Mart. Why is he so obviously covering up his face to avoid detection of who he is? These videos are excellent and provide us with over a half an hour of footage from an American citizen quite disgusted in what she sees her country turning into.